Europeans have used the term ‚Sioux’ since 1640 to designate the tribes that belong to the Dakota, Lakota and Nakota language groups. The Sioux people are the tribe that won the Sioux Wars of 1868 and defeated General George Armstrong Custer. The Sioux people will use the word (Sioux) when telling other tribal groups what Nation they are from or when speaking to non-Indians, but call themselves by their Sub-Tribe name and by their language group. Thus a person would describe himself or herself as Mnikoju Lakota. In 1862, the Dakota People, tired of semi-starvation and poverty, took part in an ill-fated war meant to push white settlers out of their lands in Minnesota. At the end of the brief war, 160 Dakota warriors were captured and sentenced to hang. In 1864, President Abraham Lincoln commuted the sentences of 120 of the younger men. However, 40 other warriors were hung from a single scaffold in Mankato, Minnesota, making it the largest mass execution in U.S. history. These younger Indian men languished in a military prison. Volunteers from the Young Men‘s Christian Association visited them, bringing clothing, bedding, English language lessons and Christianity. The Dakota men were so impressed with the compassion of these YMCA volunteers, that upon their release in 1879, some of them, including Chief Little Crow‘s son, Thomas Wakeman, started the Koskada Okadiciye, a Young Man‘s Association. In 1885 they were recognized by the national YMCA movement and changed their name to Sioux Young Men‘s Christian Association. Their goal then, as it still is today, was to teach and encourage the values of Wawokiye, Woksape, Ohitika, and Wa o‘hola or Generosity, Wisdom, Bravery, and Respect. Thomas Wakeman, son of Chief Little Crow, organized the first Sioux Indian YMCA in 1879, and Dr. Charles A. Eastman, Ohiyesa, a member of the Santee Sioux, for merly with the Indian Health Service during the Wounded Knee Massacre, was selected by the national YMCA to head the Indian office in 1894. He was the first Sioux YMCA Executive Director. Change and growth have continued. In 1970 the Sioux YMCAs voted to become a family association and in 1971 a summer residential camp, YMCA Camp Leslie Marrowbone was started. The YMCA was incorporated in 1972, became a member of the National Council of YMCAs in 1977 and assumed full responsibility for fund-raising in 1983. 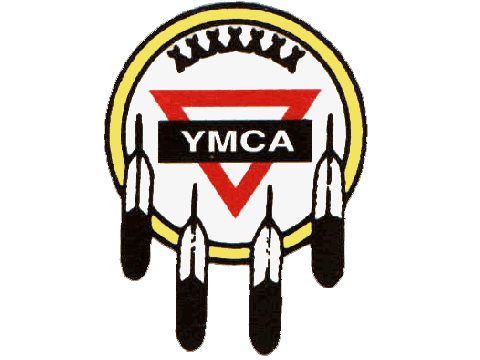 Today, the General Convention of Sioux YMCAs, with a Lakota Board of Directors and supported by a dedicated Board of Trustees, operates youth, recreational and camping programs that serve youth and families spread out among isolated communities on the Cheyenne River Sioux Tribe Reservation, which is over 5,000 square miles. Our mission is to develop and strengthen the children and families in our reservation communities so they can fulfill their greatest individual and collective potential, spiritually, mentally and physically. The Sioux YMCA is a very small organization with many responsibilities and programs within communities throughout the reservation. 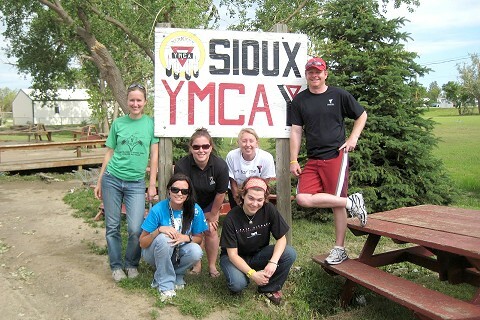 The Sioux YMCA believes in working with community members rather than for them. By working with community members we establish sustainable programs and change; we can empower. Focusing on the engaging academic, athletic, and artistic programming, the Sioux YMCA serves the children of the Cheyenne River Sioux Tribe Reservation on site, in the Tribal schools, in the communities, and through Camp Leslie Marrowbone (Programmes: After school program, Successful kindred influential Lakota leaderz, My viewpoint photography initiative, Traditional Lakota art, Game room, Computer and Internet, Summer food program, Sioux initiative, Community outreach, Star quilt classes). In 1973, the Sioux YMCA officially opened Leslie Marrowbone Memorial YMCA Camp on the banks of Lake Oahe. Since then the services and programs provided by Camp Marrowbone have continued to offer a unique resident camp experience to all youth living on Reservations in South Dakota and many non-reservation children. Would you like to become a camp counselor?